Hi. 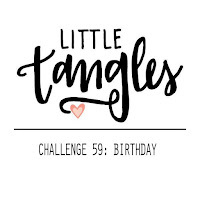 Our new challenge is a project relating to 'Birthday'. I am always needing birthday cards so it was a great challenge for me. I heat embossed the balloon images from the Just For You stamp set from Neat and Tangled, and watercoloured them using my distress ink pads. After fussy cutting them I placed them around a MFT die cut, added some metallic thread and added the sentiment from the same set which I had also heat embossed and fussy cut. I love the way the watercolour looks, I am waiting for a Kuretake Gansai Tambi set to arrive (yay!) but I must say I am pretty impressed with the look you can get from distress inks. 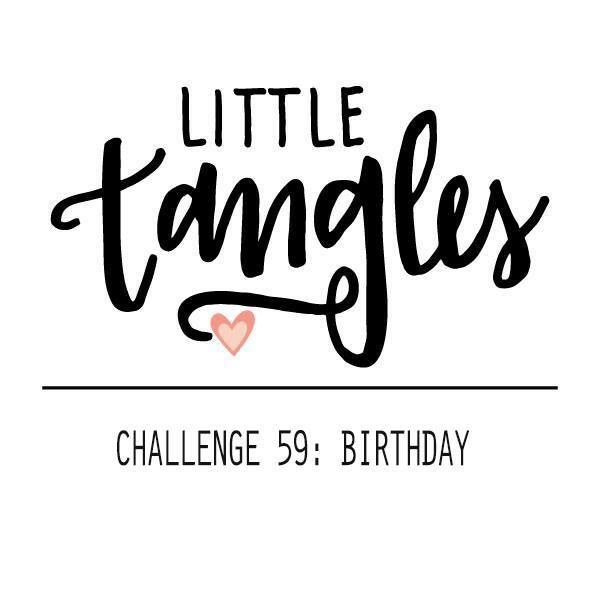 Well I hope you can join us.......... you can link your birthday project up here! I am also going to join in the Seize the Birthday Challenge - Embossing. Super cute balloon bouquet Tracey, this is a happy card! What a fantastic layout for all those wonderful balloons! I love how the distress inks colored up...lots of depth and texture! Thank you for joining us at Seize the Birthday! 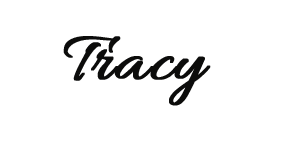 Absolutely gorgeous Tracy! 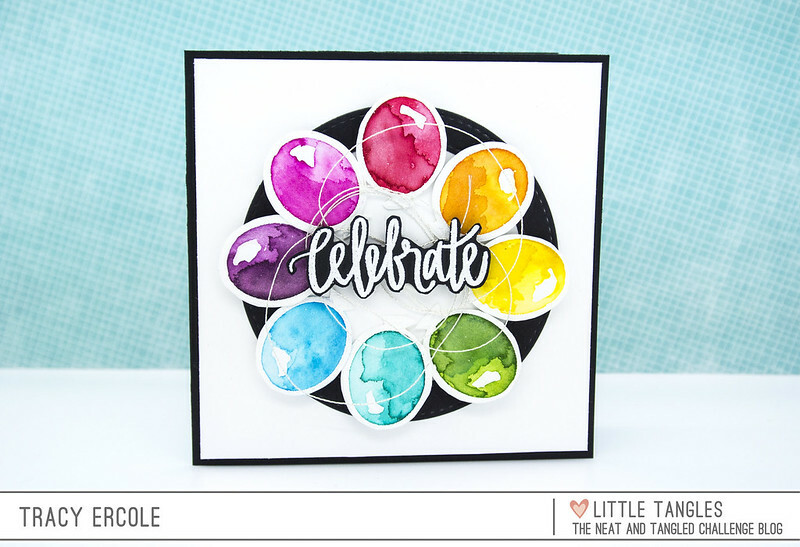 Love the idea of the bright watercoloured balloons in a circle, really gives it that graphic design look! Absolutely gorgeous! Love the bold colours with the black & white. Thanks for playing along with Seize the Birthday.